Don Showalter has forged a 62-0 record as head coach of the United States Under 17 Men, including 5 FIBA World Championship gold medals. The high respected coach and coach educator is headed to Australia for a series of clinics later this month. 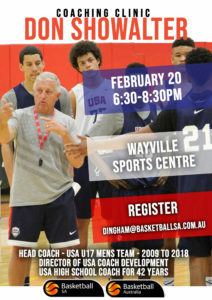 Respected United States development coach Don Showalter will present clinics across four states as part of his visit to Australia with more than 300 coaches expected to learn from the experienced mentor. Showalter is an impressive 62-0 as head coach of the United States Under 17 Men’s team and has led his young charges to an amazing 10 gold medals across FIBA events in his tenure with the team. This includes 5 World Championship golds, including the 2018 event in Argentina last July. An internationally respected coach educator, he is currently the Director of Coach Development with USA Basketball and presents clinics and coach development activities throughout the US and internationally. In some 42 years as a high school coach, “Coach Show” has won more than 600 games and has been a head coach for both the McDonald’s All American game as well as the prestigious Jordan Brand Classic along the way. As part of his visit to Australia, Showalter will present coach development clinics in Sydney, Adelaide, Brisbane and Melbourne, as well as work with young athletes in Basketball Australia’s National Performance Program. 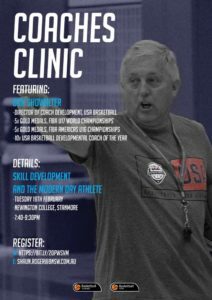 The clinics and Coach Showalter’s visit are being supported by Basketball Queensland, Basketball South Australia, Basketball Victoria and Basketball NSW and will provide coaches with an opportunity to learn from one of the most experienced development coaches in world basketball. 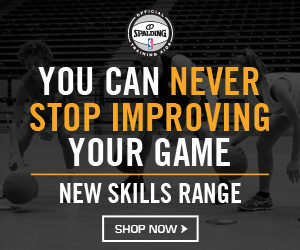 Basketball Australia Head of High Performance Coach Development Peter Lonergan said it was a coup for Australian basketball to have such an experienced youth coach share his knowledge with local coaches. “Coach Show has an impressive resume and is passionate about helping coaches develop and refine their craft,” he said. “His record with the US Under 17 team is unprecedented and having him seen him present at a major clinic in Argentina last year, there is no doubt our coaches will enjoy the chance to learn from one of the great teachers in the game. 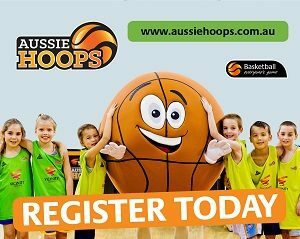 “Thanks to the support of Basketball Queensland, SA, NSW and Victoria we are able to expose coaches in four cities to this valuable coach development opportunity,” Lonergan added. For information on the clinics, visit your state’s web-site or follow BA social media platforms for details. 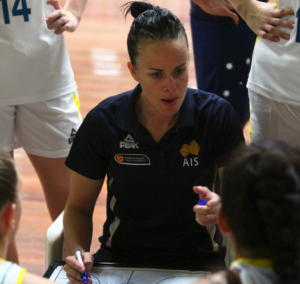 Kristen Veal is the Head Coach of the Basketball Australia Centre of Excellence Women’s program and was an assistant on the 2017 World University Games gold medal team. 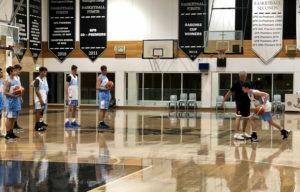 The former Australian Opal and WNBL life member shares some learnings from a recent conversation with respected coach development expert Dr Donna O’Connor regarding the coach as a teacher. I was fortunate to catch up with Donna during February over a coffee at Sydney University to pick her brain around one subject, teaching as it relates to coaches. From this conversation we spoke about how to improve practice planning to facilitate more effective learning opportunities, how to continue to drive buy-in to team standards once established, and considering more strategic mirroring of games in practice. Below are my initial interpretations of the ideas discussed – designed to be adapted and built upon. Aim and Questioning – incorporate (write) into practice plans an aim of what we are trying to achieve when teaching or running a drill, use open questioning to guide the team to that aim. Have a big picture (aim) of what the drill should look like, prepare questions to ask the team/athletes that lead them to that big picture. The WHAT questions – What did you do? What was hard about that? What did you see? What worked? The HOW questions – How did you do that? How did we get that outcome? How did she get that wide open shot? The WHY questions – Why did we do it that way? Why did that work/didn’t work? Why are we doing this? Language – having a team or program language assists in the automation of practice and aids in information retention and transfer. The principle behind the use of language (names, analogies etc.) is about ‘chunking’ information, this improves memory (easier to retain & recall); this then frees up the brain to be more creative and won’t be overloaded. In regards to automation of practice, using a specific name of a drill will trigger the athletes memory on how to set up the drill, the parameters of the drill, expectations and competitive element. This automation creates efficiency during practice by minimising drill set up and explanation, it creates fluidity through a practice. More importantly, it allows more opportunity for coaches to coach the play components (team or individual) and decreases tuning out by athletes due to over-talking. Coach movements – plan into practices who is going to set up/run drills, remembering that the set-up of many drills is primarily logistical and less teaching. Sometimes it may be beneficial for an assistant coach to run the logistics of a drill which will provide opportunity for the head coach to teach the detail and/or coach on the run (throughout the drill). If done well this could involve coaching team more, reduce over-talking and provide more teachable moments for the head coach. It is important to plan to ensure that talk v play ratios are discussed and managed. Stoppages – knowing when to stop the whole group versus pulling out an individual between reps/ during play. Sometimes we have a tendency to stop the whole group for an individual’s learning. Exploring and practising this as a coach skill, recognising when the instruction will benefit the whole group (usually when play has resulted in a reoccurring mistake or confusion by multiple athletes) or when it is only relevant to a specific individual. Sometimes pulling out a player during play (exploration) serves two purposes; 1. Individual development/learning, 2. Creates an environment where the rest of the group need to adapt to the situation (a player down or ‘playing short’) and make decisions. This often simulates the unpredictability of a game environment. Down times – explore mirroring game-like components (train like you play philosophy). Specifically, where athletes heart rate decreases, they mentally relax and their concentration shifts. This is a common occurrence in every basketball game, however often at practices we have an expectation of high energy, high focus for the entire practice. Whilst constant high energy/high physical stress is beneficial in deliberate overtraining it may actually prepare athletes inaccurately for games. There are many down time moments in games such as; sitting on the bench, quarter times, half time, timeouts, injury, official/scoreboard errors, etc. Incorporating ‘down time’ moments into training develops athletes ability to recover, re-focus and produce positive performances from a standing start. ‘Down times’ are also an opportunity for athletes to reduce stress/anxiety, recover from physical stress, manage confidence and prepare for next playing task/opportunity. Another idea is to explore deliberate activities in ‘down-times’ like taking three deep breaths, asking a question, recovering with food/fluids/stretch, etc. Be great at things that matter most – spend majority of practice time on what’s important. This requires prioritising what’s important and planning the session around those priorities. Also explore planning around strengths of the athletes, this will create opportunities to build confidence in individuals and the group, ‘strengths based’ practice. Feedback – explore positive accountability, seize moments to provide immediate feedback where an individual or the team have done it right (aiming at consistency). Provide opportunities for players to use feedback (whether positive, correctional or explorative), it is important to not just provide feedback at the end of a drill or before you do a drill/activity that has a different focus. This eliminates the immediate opportunity to try to implement feedback. Explore ways to encourage players to give each other feedback, peer feedback can be beneficial for both receiver and giver. Coach Don Showalter is one of the most respected youth development coaches in the international game, forging an imposing 62-0 record at the helm of the USA Under 17 Men and presenting clinics globally. 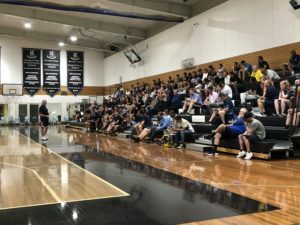 Currently in Australia for a series of clinics in Sydney, Adelaide, Brisbane and Melbourne, Coach Showalter is sharing his vast knowledge of player development with more than 300 coaches during his visit. Here are some notes from his recent clinic at Newington College, Sydney. Basketball Australia would like to thank and acknowledge the following individuals and organisations for their support of this clinic. Extensive notes and video will be made available to accredited coaches in all states and territories in the coming weeks. 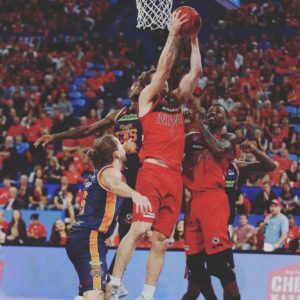 Greg Hire is a nine year veteran with the Perth Wildcats in the National Basketball League. A 3-time championship player, he has built on reputation as a hard working and versatile leader and a key member of the Wildcats. Greg is also the founder of A Stitch in Time, a not for profit organisation focusing on raising awareness on mental health, particularly in young people. He has contributed this excellent article to help coaches understand their role in monitoring the mental health of their young athletes. Coaching young athletes can be a complex and challenging process for any person. The developmental phase of childhood through to adolescence is a time of important cognitive, emotional and social changes, where adolescents look to establish a sense of independence, self-awareness, competency and identity. Some coaches lack the confidence to talk about mental health; and the primary aim of this article to try and adjust. It’s a common trait amongst many people – talking about Mental Health conditions is a sensitive topic, an individual may have concerns about asking the wrong questions, the perceived lack of knowledge. If done in the correct manner, coaches and/or individuals can have a significant impact on these young persons lives. 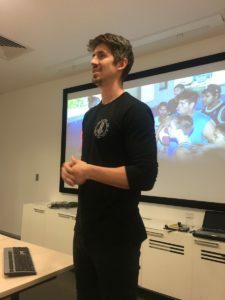 Psychologist, and General Manager of Youth Focus, Chris Harris contends “ if we’re going to reduce the highs rates of psychological distress reported by young Australians then it’s imperative that community members (including coaches) have the confidence and willing to engage in these conversations at the earliest opportunity”. My fondest memories growing up as a adolescent was the knowledge of my weekly basketball training sessions at my local basketball club – that consistency in engaging with peers and familiar faces. It was something that was regular; something needed in a turbulent life. Growing up, I needed support and those basketball coaches provided that. My high school basketball coach had a tremendous impact on my life – mentoring me in a huge capacity, more so changing my life in a huge way. Ultimately, he never knew the impact he had on me as a teenager but that is the impact coaches can have on a young persons life. Because of the relationship that coaches develop with players – it is them that will be more alert to any subtle changes in behaviour. There is no need to possess a specialist knowledge of Mental Health; having a Mental Health condition can be incredibly isolating and awareness of the stigma that surround Mental Health conditions is rising, yet the number of people experiencing these conditions is also greater than ever. Due to the social connection that coaches build with their players, this can lead to a tremendous impact on wellbeing – not only does this assist with conversations but by having a range of abilities that can help individuals manage their mental wellbeing more effectively – this can strengthen their resilience to developing a problem. Personally, my belief is that a vital first step towards improving and maintaining mental wellbeing is by opening up and talking about emotional problems. The statistics surrounding Mental Health conditions are staggering – 1 in 7 primary school kids experience mental ill-health, 1 in 5 adults will experience mental health problems this year, 1 in 4 adolescents experience mental ill-health with 65% of adolescents not seeking help for their mental illness. 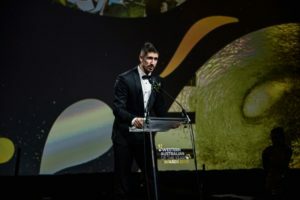 Funding and awareness around this critical area has dramatically risen, but unfortunately the lives lost to suicide in Australia continues to rise. For me, it’s about educating as many individuals as possible about the importance of Mental Health, giving it the same priority as physical health, a ‘parity of esteem’. Similar to physical health there is a continuum from wellness to illness for mental health too. So mental health is the good end of the spectrum, the optimum to strive for. We need to talk about this more and give young people the strategies to achieve it. Explaining the difference between Mental Health and dealing with every day life stress. When these stresses are not managed, they can potentially lead to Mental Health issues at the unwell end of the continuum. Chris said “Social connectedness and a sense of belonging are two of the most protective factors for positive mental health”. Therefor a individual needs to know they have support of those around them, and it’s accessible. So…What has all this got to do with the domain of sports coaching, you may ask? You don’t need to be a mathematician to figure out from these statistics that there is a strong probability a number of people you coach will have a mental health problem. Learning how to recognise the flags at the earliest opportunity so they don’t become red flags is necessary. This involves knowing how to open a conversation about mental health with a participant you are concerned about, and acquiring the confidence to be able to offer appropriate guidance. Which can be a daunting proposition for a grass-roots coach. It’s about encouraging everyone to talk about Mental Health and making those conversations okay. Some of the valuable benefits of effective coaching is that it helps to build resilience, self-esteem and confidence in participants. They learn how to deal with adversity, how to use failure to their advantage, and this improves their capacity for dealing with challenges that life will inevitably throw their way. In other words, being equipped with such attributes can help someone manage their mental wellbeing more effectively – by either helping them cope better with an existing mental health problem or strengthen their resilience to help prevent a problem from developing. Building resilience so people can cope better when things don’t go so well is incredibly important. We are all going to have big events in our lives and transitions that test us. There is strong evidence to suggest that physical activity helps to lower anxiety and minimise the risk of depression by releasing feel-good hormones – endorphins – which help to boost your mood, while giving you greater control over the stress hormone cortisol to help facilitate feelings of relaxation and calm. But the benefits of coaching and physical exercise on mental health and wellbeing are truly maximised by building a strong coach-athlete relationship. Chris describes it as a scaffolding process with coaches providing the foundation and support for a person to grow, and have the strength to adapt to life stresses. As you get to know your players better, and they get to know you, the more chance there is of them opening up to you and looking to you for emotional support. 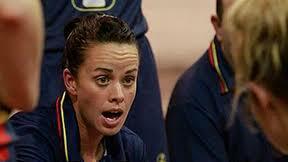 Coaches who understand the person behind the athlete will be more alert to any subtle changes in behaviour. if you have earned their trust and respect, you could be as much, or even more of a confidant, as a parent, teacher or best friend. Being empathetic and a willing and patient listener can be a valuable trait, showing those struggling with a mental health problem that they don’t have to suffer in silence, or alone. On the flip side, teenagers and young adults who are at a particularly vulnerable age, and who value the opinion of their coach, could feel let down if they believe their emotions are being ignored. Coaches who support people as part of a team have a duty of care for those who are in their sessions. A duty of care to ensure their wellbeing and their safety. There is nothing more protective and caring than supporting positive mental health. This means recognising when a member of your team is struggling. To put it simply I refer to the adage, treat people how you would want to be treated yourself. It’s about asking those in your care, with confidence, what sometimes can be a difficult question – “I’ve noticed that you don’t seem yourself”, or, “There seems to have been a drop in your performance” – and empowering coaches to have those conversations and not be expected to have all the answers but to be prepared to give over some time and listen. If we don’t ask meaningful questions – and that does not mean socially acceptable rhetorical questions like “Are you okay?” at the beginning of a session – coaches are not giving their participants the opportunity to say if they are struggling. Basic interpersonal skills, in other words, as opposed to specialist knowledge of mental health is all that is required. You don’t need to start think you are a Mental Health counsellor, though we can acknowledge you are in a really trusted position… and ultimately people tend to open up to people they look up to and trust. There’s also a perception that some coaches don’t bring certain things up because they are not comfortable talking about it. They think they’ve got to fix everybody. Actually that’s really not the case. It’s exactly the same with mental health as with physical health, when you would suggest someone go and see a doctor or physio if they have a problem. Coaches just need to be aware of the signposting that’s out there so they know where to best direct them. Conversations that are simple, non judgemental, confidential. Reassure your athlete – people may not always be ready to talk straight away but letting them know you are there. If your participant is under 18 or you believe is at risk of harm to self or others, seek support from your Welfare Officer. Remember to keep sessions fun as excess pressure can make anxiety levels worse. Challenge inappropriate behaviour: The way others behave can impact on someone with a mental health problem. Many people feel anxious when joining a group so ensure you create a supportive environment where everyone feels welcome. Not turning up for sessions. Change in usual behaviour/mood/interaction with others. Changes in work output /motivation. Appearing tired, anxious or withdrawn and losing interest in activities they previously enjoyed. Changes in habits (appetite, smoking other behaviours). Wanting to talk about how they are feeling. It is important not to make assumptions about a participant’s behaviour. Talk to them about how they are feeling and any changes in behaviour you have noticed. In conclusion, mental health issues in young athletes are common. Maintaining an athlete’s “super human” identity as well as pressure from parents and coaches are all contributing factors. Steps for the future are to ensure that all young athletes have personalised coping mechanisms to deal with stress and feel confident and comfortable to ask for help.